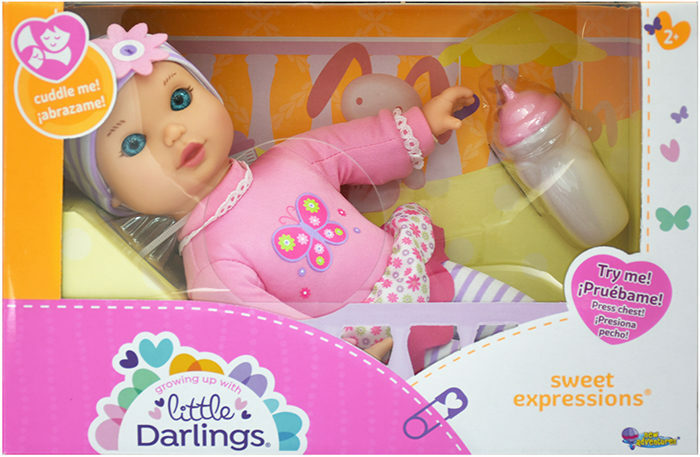 Sweet Expressions 11 inch baby dolls are dressed in adorable outfits, assorted in 2 styles. Includes baby doll and baby bottle. Collect both styles!